Just a few months after the PH release of the first feature film, the 2nd My Hero Academia movie has been announced! The reveal was made during the “2019 PLUS ULTRA STAGE” at the AnimeJapan 2019 event. 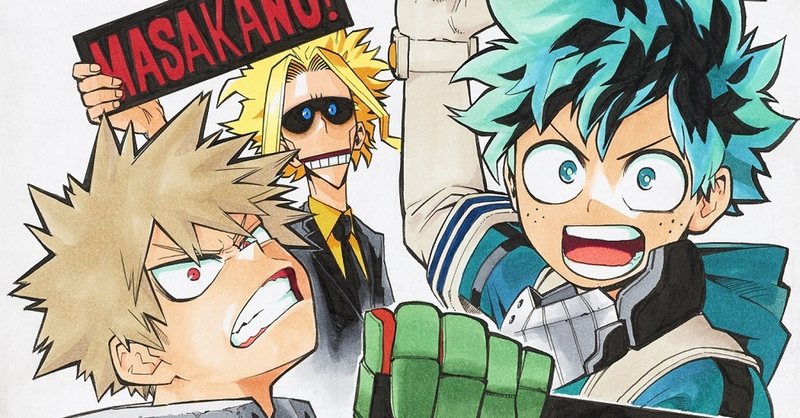 While the announcement video didn’t reveal anything about the story (as it only featured clips from the Two Heroes movie), what we do know is that the film will be supervised by BNHA creator Kohei Horikoshi and will be directed by Kenji Nagasaki, the director of the previous three seasons and Two Heroes movie. Based on All Might’s form in the artwork, we’re willing to bet that the movie will take place after the events of the third season, or at least after its first half. Though we’ll find out for sure in the coming months as more info about the movie will be revealed. As for its release, the 2nd My Hero Academia movie is slated to release in Japan this Winter 2019. The film’s PH release has yet to be confirmed, though we do hope it gets shown here much like the previous film. In case you missed it, the fourth season of My Hero Academia will air a bit before the 2nd movie, specifically this October.